For over 40 years, the antitrust lawyer team at Gilman Law LLP has focused on identifying and prosecuting violators of antitrust laws in an effort to maintain the integrity of our current economic environment across a myriad of industries. The Firm is committed to prosecuting antitrust cases for clients to ensure that markets remain competitive so that businesses and consumers can purchase the best possible goods and services at the lowest competitive prices. The antitrust lawyers of Gilman Law have extensive backgrounds in law, economics, statistics and complex antitrust litigation necessary to help consumers and businesses injured by violations of applicable antitrust law to pursue antitrust lawsuits.Antitrust law involves antitrust injury suffered by consumers and/or businesses for unfair trade practices, anti-competitive business tactics and predatory business acts in an attempt to secure greater market share and minimize competition. Specific violations of antitrust law include but are not limited to: monopolies, price fixing, market allocation, tying arrangements, and criminal activity perpetrated in order to eliminate free and open competition. 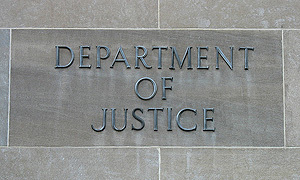 The Firm’s antitrust lawyers have extensive experience and has prosecuted significant antitrust cases in both state and federal courts throughout the country. Monopoly – A single business entity controls all or most of a specific market for a given service or product thereby eliminating competition within a specific market. Price Fixing – Prices of products or services are unlawfully fixed and controlled by several entities rather than prices being determined in a free and open market. Price fixing is a predatory tactic used to eliminate competition by unlawfully conspiring to price fix in violation of the antitrust laws by artificially inflating the price of a product. Market Allocation Schemes – Businesses operating in the same market by conspiring, collusion or agreeing to an unlawful association in which a market is divided among all participants. New businesses or those outside the group are thus unlawfully eliminated from the market and thereby suffer from elimination of fair competition. Tying Arrangements – An agreement where a seller agrees to sell a product or service to a buyer only if the buyer agrees to purchase an additional product or service. Generally a company will require a buyer to purchase something they do not want in order to purchase the actual product or service. Setting Artificial Floors – It is unlawful for companies to conspire to set a floor for prices below which they agree not to offer product. Gilman Law LLP is a leading antitrust law firm and is here to help you receive the best compensation for your injuries in an antitrust lawsuit. If you believe you have been a victim of any antitrust violations, you may have valuable legal rights. For a free evaluation of your case by an antitrust lawyer, please fill out our online form, or CALL TOLL FREE (1-888-252-0048) today.